LIML - My Letter holder... or is it! 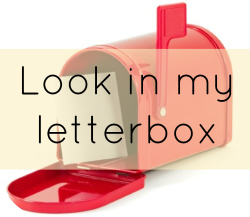 So quick update for my new readers - The lovely Alice runs a brilliant linky each week called....... Look in my Letterbox! I love it! As a blogger, comper and well nosey person really, I love seeing what others have received in the post and pick up tips along the way, be it penpals, freebies or opinions on reviews. I got some washi tape and paper from my Docraft magazine to give the holder a little face lift and then added bulldog clips either side. The small clips hold the new style iPhone/iPad chargers nicely, whereas the larger clips are needed for the older style chargers and my Samsung products. To my delight not only do the phones fit in this holder perfectly, so do the tablets; now I have a pretty, organised docking station for our phones and tablets. So that's what came through this week. Did you receive anything lovely too? 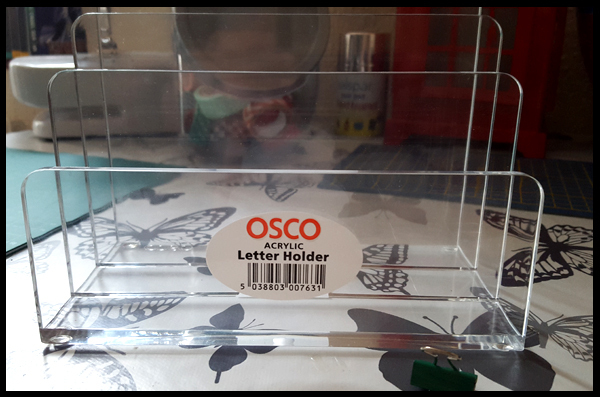 what a smart letter holder - fabulous that it can hold tablets too! We made our own charging station on a shelf using a foam pipe but doesn't look anywhere near as smart as this! Thanks Rebecca, I've seen the foam pipe ones before, they're work well too. Thanks Alice, it keeps them all lovely and tidy.